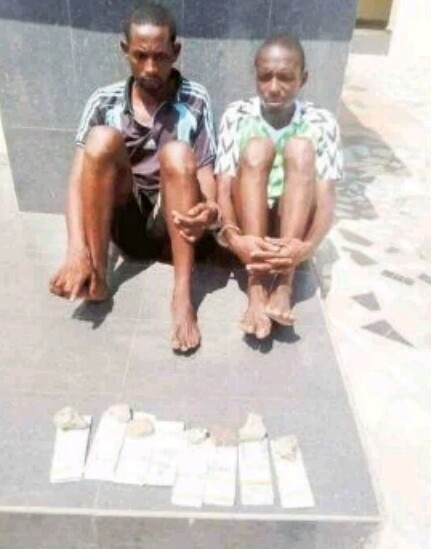 Men of the Kogi State Police Command have arrested two suspected armed robbers in possession of counterfeit $800,000. The command’s spokesman, William Ovye Aya, who confirmed the incident in a statement yesterday in Lokoja said the duo of Sofianu Seidu and Aliu Ismaila were arrested from their hideout along the Lokoja-Abuja highway on October 10. He said operatives attached to the Federal SARS through an intelligence-led operations stormed their hideout and arrested the suspects. “Items recovered from their hideout include, Eight hundred thousand fake U.S Dollars, one matchete and assorted handsets. “They both confessed to the crime to being in possession of fake US dollars to defraud unsuspected citizens. They will soon be arraigned in court on completion of investigation”, Aya said.